Laurie will be hosting a Town Hall on water quality and the various issue threatening our natural resources here in Michigan, starting at 7 PM. Join Laurie for an evening at Livonia's own Wintergarden Tavern from 7-9 PM. Tickets can be purchased at secure.actblue.com/donate/bluewaveontap and will go towards our campaign to turn Livonia blue! Due to circumstances out of their control, the Livonia Democratic Club has cancelled their July 31st candidate forum. Despite this, Laurie will still be at the library to meet with voters. We hope to see you all at the Civic Center Library at 7 PM on July 31st. The first Fems for Dems Candidate Speed Dating event was a blast, and this time they're teaming up with local Democratic Clubs to bring the fun to Northville High School. The event will take place from 7-9 PM and is sure to be an informative and exciting night. Come say hi to Laurie and hear about her plans for the Michigan State House. Come celebrate Laurie's 30th birthday with her by enjoying a night of bowling and pizza! Tickets are available at secure.actblue.com/donate/birthdaybowling. Laurie will be speaking at the Livonia Public Library with Rep. Tim Greimel as part of the Speaker Series being organized by the Livonia Democratic Club. The event will take place from 7-9 PM. Laurie will be joining Women Organize Michigan at their VOTE for Women! event. Information and tickets can be found at www.facebook.com/events/1686279868083336/. Join the Livonia Democratic Club as they celebrate the holidays and their new, expanded office. Tickets are $10 and include a buffet dinner. The party will take place from 1 to 5 PM and will include a gift raffle. Our campaign was featured in Bill Joyner's "Friday Musings" last month. Mr. Joyner profiled candidates for next year's election. Laurie is proud to be the "aggressive issues candidate" that Livonia needs. The article can be found at www.fridaymusings.com/wednesday-musings.php?id=29. Laurie will be attending a workshop on recognizing and addressing racial and gender bias in society. She will also be speaking on a panel of women who are sharing their own stories of confronting and overcoming bias. Join Laurie at the Fall Musical Jubilee hosted by the Livonia Democratic Club. Doors will open at 6:30 PM. Ticket information will be posted as it becomes available. This is sure to be a fun-filled night out with our fellow Livonia citizens. Please join Laurie as she hosts her first campaign event in Livonia. Dinner will be provided. Come meet Laurie, ask questions, and hear about her campaign for State Representative in District 19. Tickets must be purchased in advance and are available at www.eventbrite.com/e/meet-the-candidate-dinner-laurie-pohutsky-for-state-representative-tickets-38308636162. We look forward to seeing you all there! 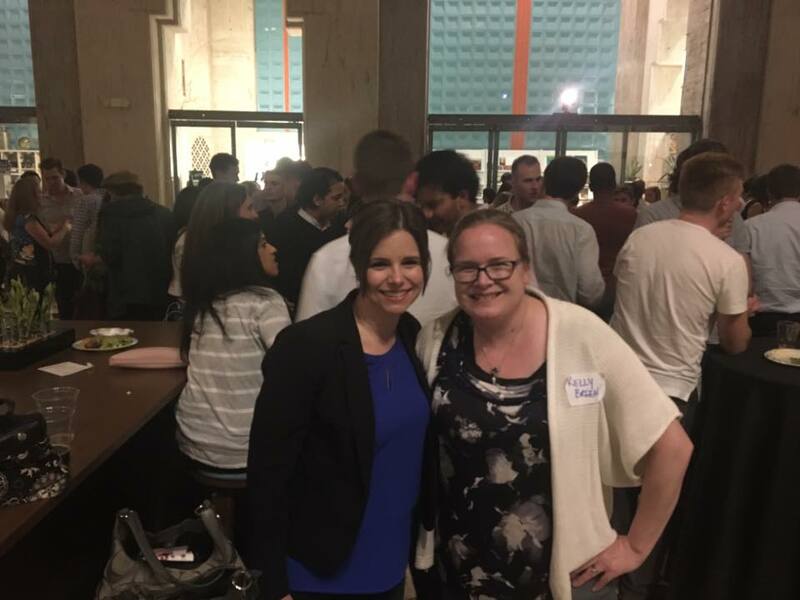 Laurie will be co-sponsoring a human trafficking outreach with Kelly Breen, a candidate for Novi City Council, and representatives from SOAP Redford. Information can be found at www.facebook.com/events/117491072258971/?. All are welcome and encouraged to attend. Laurie will be attending Run to Win 101, a training event being hosted by Emily's List. The event will help guide female candidates on the obstacles they will face while running for election, as well as answer questions they may have. Laurie will be attending the Arena Summit and speaking on a panel for candidates running for state and local office. The panel will be June 9th at 7:00 P.M. The summit will include breakout sessions that center on issues pivotal to Michigan and the country as a whole. It is an excellent opportunity for those considering running for office or simply looking to further their civic engagement. Tickets and information are available at thearena.run/detroit. Laurie and Kelly Breen, who is running for Novi City Council. Laurie and Representative Pramila Jayapal, the first Indian-American woman in Congress. 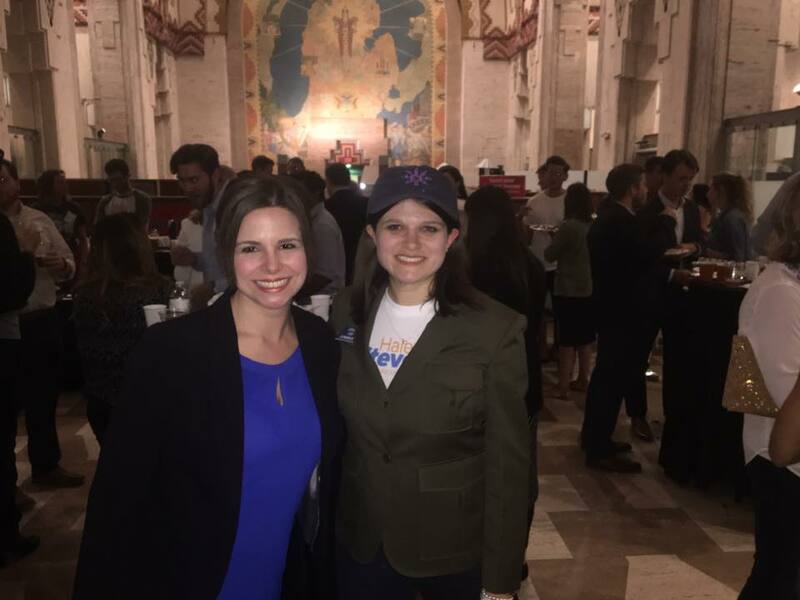 Laurie and Haley Stevens, who is running for Congress in Michigan's 11th District. ​Laurie will be attending the reception for Debbie Stabenow, where Elizabeth Warren will also be speaking. The reception is part of the Women Organizing Women event taking place that day. Laurie and Senator Elizabeth Warren. Laurie will be attending the Voices Art Exhibition to benefit Wayne County SAFE, an organization that provides care to sexual assault survivors. Laurie Pohutsky will be speaking at the event for Young Government Leaders, being held by the Institute for Local Government. The event will be held from 12:30 to 3:30 PM at the university. You can register at umdearborn.edu/casl/iflg/ if you wish to attend. Speakers will include past and current elected officials. There will be a Q & A session and light refreshments will be provided.